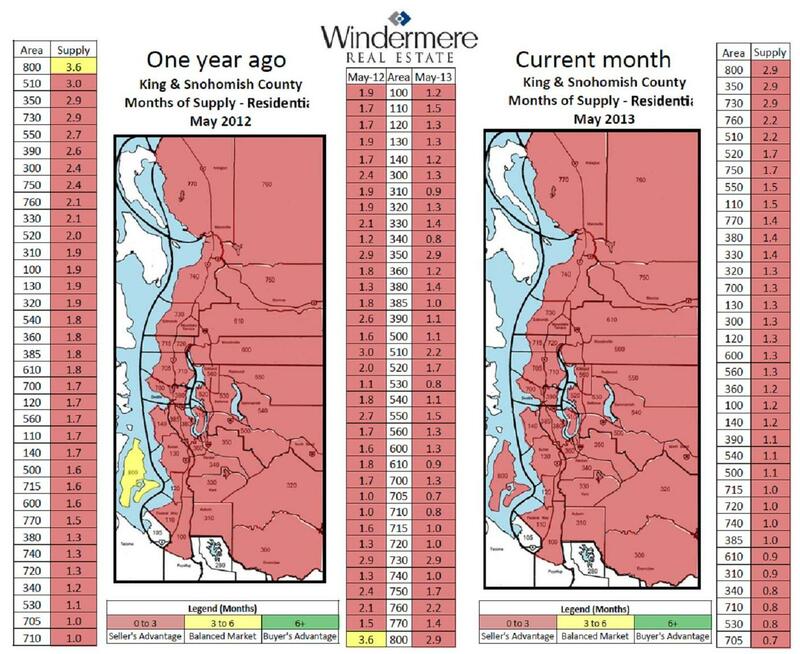 May's Months Supply of Inventory on the Eastside is down 30% year over year. Our market still reflects a "Seller's Advantage" market as inventory has stayed low and demand continues to be high. On average, there is just 1.3 months of active home inventory available to buyers. Multiple offers are still the norm when a home is priced right and shows well. Despite low inventory, pending sales are up 7%! We advice sellers to get "off the fence" if they are ready to relocate, downsize or upsize…homes are selling in just days. In this changing market, we are here to help! Please don't hesitate to contact us if you would like a market analysis for your specific neighborhood. View our blog for insightful articles and hear about the latest market trends.